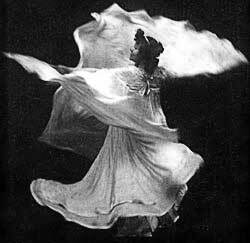 Loïe Fuller (1863–1928) was a pioneer of modern dance and at the beginning of the 20th century, her influence impacted and inspired a new generation of dancers. Fuller’s circle of friends included artists, politicians, and European royalty, and it was she who convinced Sam Hill to turn his unfinished Maryhill mansion into a museum showcasing French fine art. The Loïe Fuller exhibition includes Art Nouveau posters, photographs, art glass and memorabilia from her 35-year career as a performer.